Northern Morocco teems with cultural and natural wonders but it is so vast that in 1 week, you will only be able to explore a small part of it. However, with careful planning and prioritizing, you will be able to maximize your time and see some of the major attractions. This 7-day itinerary is for those who are short on time, but still want to get a good taste of what Northern Morocco has to offer in one week or less. 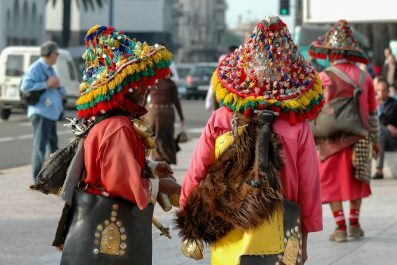 Language – Moroccan Arabic and Berber are the most widely spoken languages in Morocco. Their second language is French and in cities like Tangier and Chefchaouen they are fluent in Spanish due to their proximity to Spain. English is emerging, especially in major cities, so you can get by without learning the language. However, speaking at least some Moroccan Arabic or attempting to learn is greatly appreciated by locals. 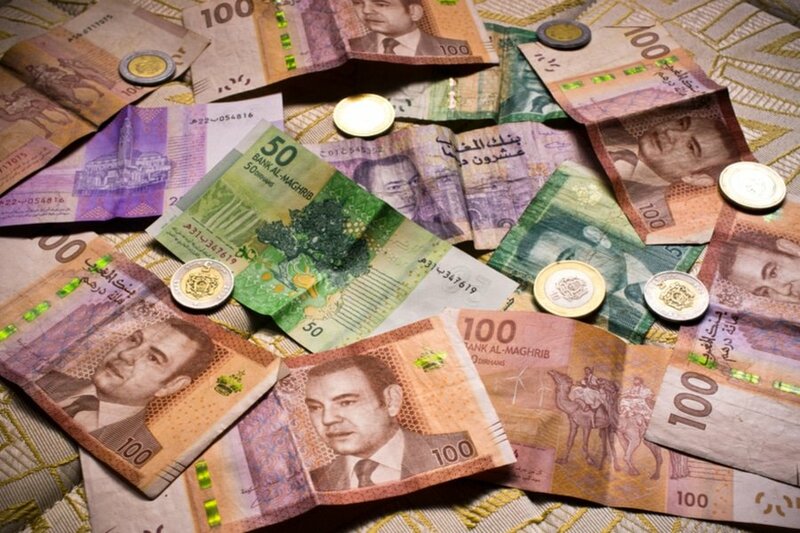 Currency exchange – The official currency of Morocco is the Moroccan dirham. Currency can be changed at banks, Bureau de Change at the airport, authorized money changers and some hotels. Credits cards are commonly accepted in most mid-range to high-end restaurants and hotels in major cities. You may also use debit cards, but watch out for ATM fees and foreign transaction fees, which can be very high per transaction. Clothing – Unlike any other Muslim countries, Morocco has no practical rules and regulation when it comes to clothing due to their close proximity to Europe. However, it is advisable not to show too much skin. Modest dress is best for men and women. For women, avoid revealing clothes so you won’t get unwanted attention. Jeans and shorts not higher than mid-calf, knee-length skirts partnered with T-shirts or blouse are acceptable. For men, loose cotton shirts, T-shirts and pants are okay. Lastly, while visiting places of worship, you should be fully clothed. 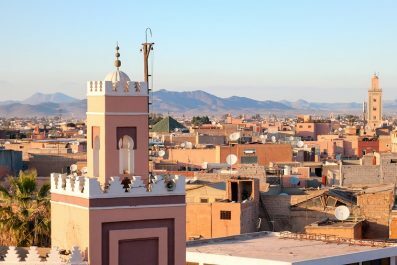 Getting there – The best option if you are flying from outside Morocco and Europe is to book a flight that arrives early in Mohammed V International Airport (CMN), which is located approximately 30 minutes south of Casablanca. It is relatively easy to travel from Casablanca to Northern Morocco; you can take a bus, ride a train or take a quick flight if you are coming directly from Casablanca Mohammed V International Airport. Accommodation – There are many types of holiday accommodation in Marrakech, from luxury hotels and picturesque B&Bs (riads) to cheaper accommodation like hostels. Riads are the most common type of accommodation because of its unique architecture and decoration promising a one of a kind Moroccan experience. Most riads in Marrakech are centrally located near Souks and Medina so it gives you better access to tourist attraction and food choices. Price starts at 40 USD, which typically includes breakfast. Your adventure in Casablanca starts today! Schedule a flight that will arrive early in Mohammed V International Airport (CMN), which is located approximately 30 minutes south of Casablanca. Travel time by train is approximately 30 minutes and one way fare is 30 Moroccan dirhams (around 3 USD). Check into your preferred accommodation and minimize your jet lag by spending a lot of time out in the sunlight so your body can adapt to its new surroundings. If your flight gets in early enough, head to a nearest restaurant or cafe for a quick breakfast. Wear comfortable walking shoes as you will do a lot of walking for today. Come to grips with Casablanca’s history and culture by taking a stroll through Marche Central de Casablanca, the city’s main market situated along Mohammed V Boulevard. 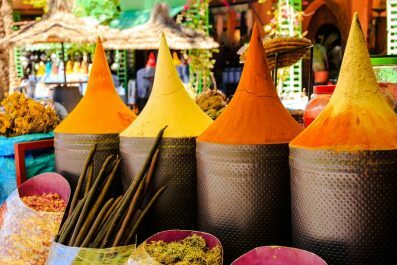 The market has plenty of interesting stalls selling fresh food, craft ware, leather goods, handmade jewelry and Moroccan-style souvenirs. After your tour, grab some authentic Moroccan lunch at one of the hole-in-the-wall restaurants in the market. 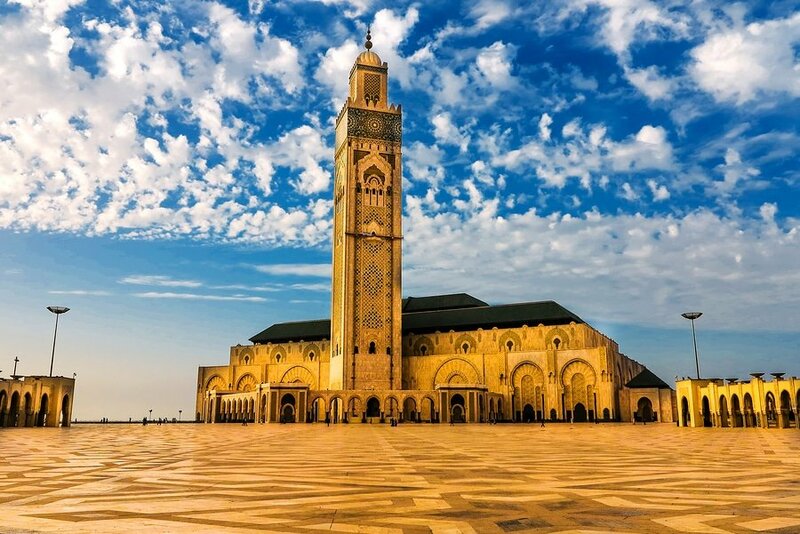 After lunch, experience the glories of Hassan II Mosque, one of the world’s largest mosques which took 6 years to complete and over 6,000 craftsmen to build. Perched on a cliff overlooking the ocean, King Hassan II ordered the mosque to be built along the seafront as a translation of the Koranic verse “The throne of God was on the water.” To see the mosque’s extravagant interior, guided tours are available and might be a great choice for tourists wishing to know a little bit more about the mosque. Later this afternoon, make your way to the souks of the Old Medina. The souks are literal labyrinth of shops selling everything: bags, scarves, baskets, carpets, shoes, lamps, perfumes, clothes, socks, fruit, crafts and a bunch of spices you never know exist. Then, make your way to the United Nations Place and Mohammed V Square, where you can admire some of the best structures with Art Deco style architecture. After dinner, head back to your chosen riad / hotel and sleep early for you early morning flight. On day 2, take an early morning flight from Casablanca to Tangier Ibn Battouta Airport (TNG). Direct flights to Tangier are expensive, especially if not booked ahead of time. From the airport, hail a cab to the city center. The airport is located 15 kilometers from the center of Tangier and travel time is about 30 minutes. If you want to save some dough or if you want to enjoy the countryside sceneries, then take a direct train instead. Travel time is about 5 hours and one way fare is about 100 to 200 dirhams (10 to 20 USD). Tangier, known for its colonial-era neighborhoods and centuries old Moorish medinas, remains to be a favorite of expatriates and travelers. Since you only have 2 days in the city, it can be tough to whittle down the must-sees. So after arrival, check in early and enjoy lunch at one of the restaurants where locals go frequently. The best way to get an introduction to this Northern Moroccan port city is to check out the downtown scene. There’s no better way to get to know the city than visiting Kasbah, the old citadel. Lines with Moorish-modern designed stores and shops selling artisanal goods, Kasbah is a haven for visitors who love shopping and people watching. After this, stroll along the Boulevard Pasteur, also known as Le Boulevard. 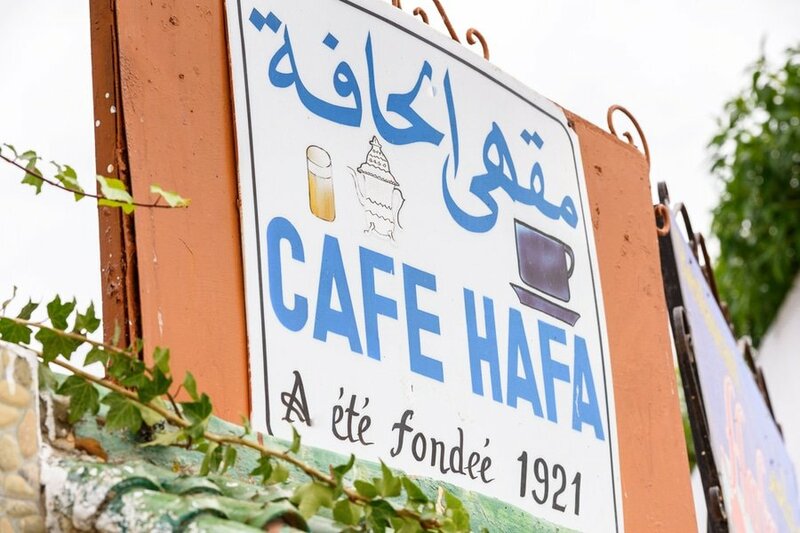 End your day at Café Hafa (Marchan Tanger). This is a perfect place for sunset viewing where you can get a stunning panoramic view of the Bay of Tangier and Spain. After your tour, make your way back to your hotel and get a good night sleep so you have energy for a whole day of adventure the next day. 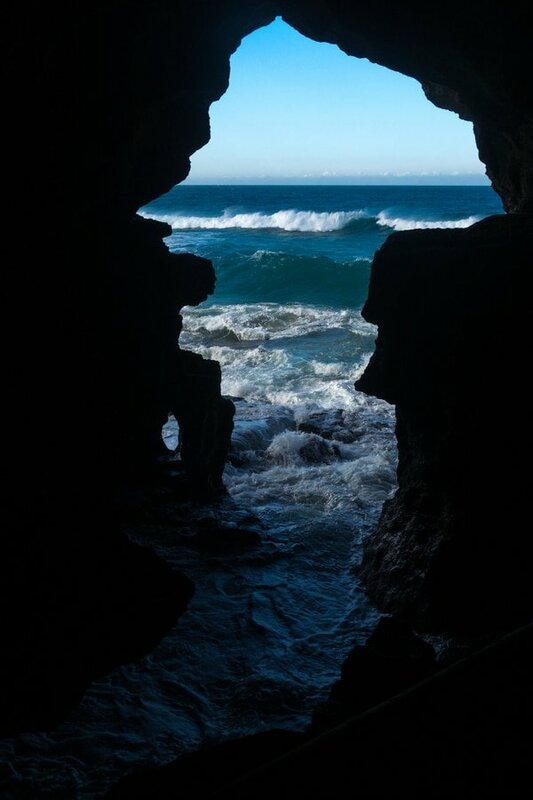 No trip to Tangier would be complete without going on a half-day trip to the Hercules Cave. It is believed that Hercules founded Tangier and he stayed in this cave before his 11th labor (the Apples of the Hesperides). In the afternoon, visit the other attractions in the city that you might have missed like the Grand Mosque of Tangier. The most distinctive characteristic of the Grand Mosque is its white-and-green-tiled minaret. The design of the mosque displays strong Moorish influences and the walls and columns of the interior are delicately carved with intricate patterns. Although non-Muslims are not allowed to enter the mosque, the exterior is worth a visit. Afternoon tea break is a great and relaxing thing to do in Tangier. Drink mint tea at one of the hole in the wall cafes in Tangier like Café Baba (Rue Zaitouni), where the Rolling Stones used to hang out. Perched above Tangier’s medina, the café also offers stunning view of the city and the bay. Enjoy dinner at Le Saveur De Poisson (2 Escalier Waller), known for its fresh seafood offerings. 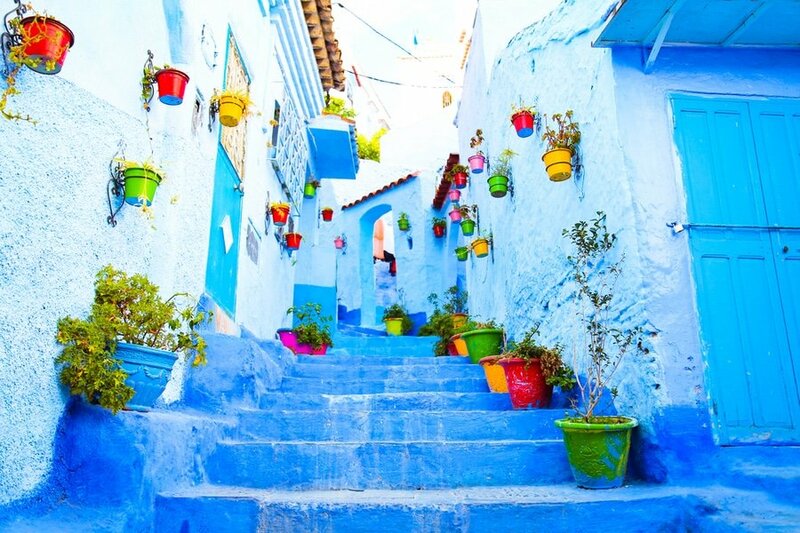 Check out from your accommodation, and then make your way to your next destination, Chefchaouen. Since there is no direct train service from Tangier to Chefchaouen, take a train to Souk El Arba. From there, take a bus to Chefchaouen. Make sure to research about the bus schedules. Alternatively, you can hire a private cab if you’re travelling with friends or family. 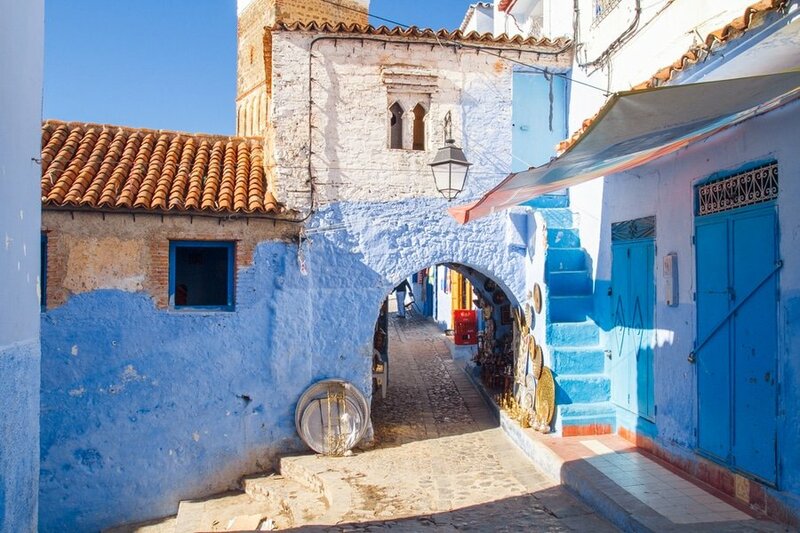 Chefchaouen, known for its houses and buildings in shades of blue, is one of the most famous cities in Northern Morocco. Because of its all-blue town against the gorgeous mountain backdrop, tourists flock here any time of the year. Enjoy a meal at Alladin Restaurant (17 Rue Targi), known for its delicious Moroccan dishes and the best panoramic view of Chefchaouen. Make sure to try their Moroccan salad and soup, shrimp tagine, chicken pastille, and tea. Later this afternoon, make your way to the souks of the Old Medina. Shopping in Chefchaouen is more budget friendly compared to other cities in Morocco. So if you want to horde on those traditional Moroccan souvenirs and spices, shop here! After a whole day of adventure, go to a hammam (traditional bath) for a relaxing bath experience. Ask your hotel receptionist on where to find a local hammam and do not forget to bring your own toiletries to the bathhouse. 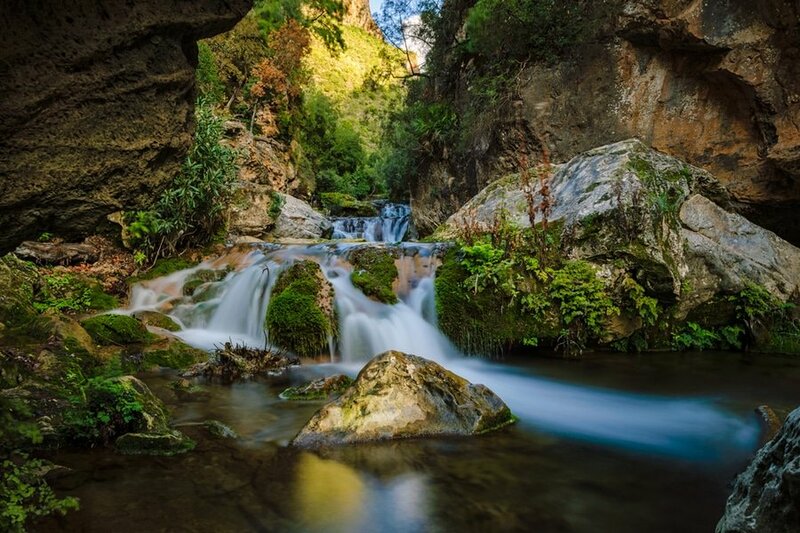 On day 5, visit the dramatic and alluring Cascades d’Akchour, which consist of upper and lower waterfalls. The hike up to the lower falls would take roughly one hour, and another 2 hours for the upper falls. You may combine this trek with the Bridge of God (Le Pont de Dieu), which is a stunning natural bridge. If you will include the bridge to this trip, it would approximately take 5 to 6 hours round trip. With time remaining, go for a stroll through the New and Old Medina. In the evening, do not miss to try the traditional bars and stand at the bar while eating spicy sardines and drinking lager beer. Visitors will surely appreciate Chefchaouen’s unpretentious bar scene and vibrant nightlife. Your adventure in Fes starts today! Depending on your time of arrival, you can both take it easy and soak up the atmosphere in Fes, or you can begin your tour of its famous attractions. Check into your preferred accommodation and hit one of the many restaurants in the city. Then, avail a half-day tour of Fes’s fascinating labyrinth of narrow streets and alleys. 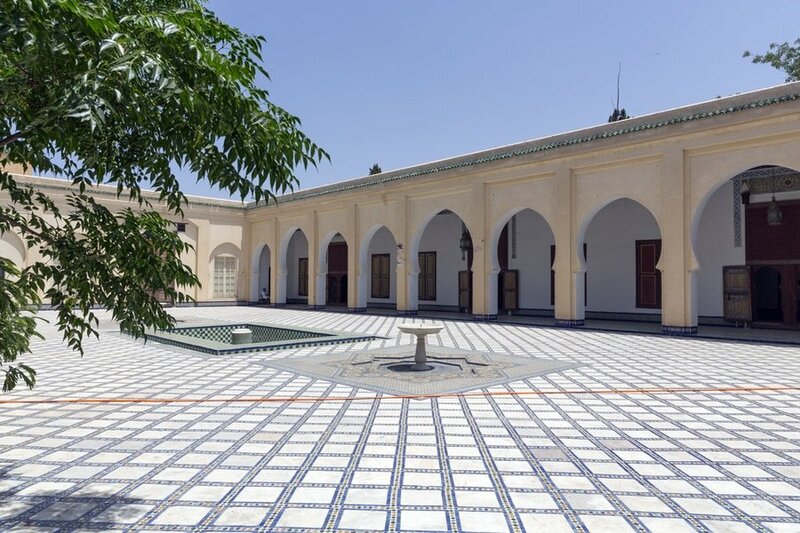 Visit some of the historic attractions of the city like Al Quaraouiyine Mosque and university, one of the many Medersas (Koranic schools) and Batha Palace. 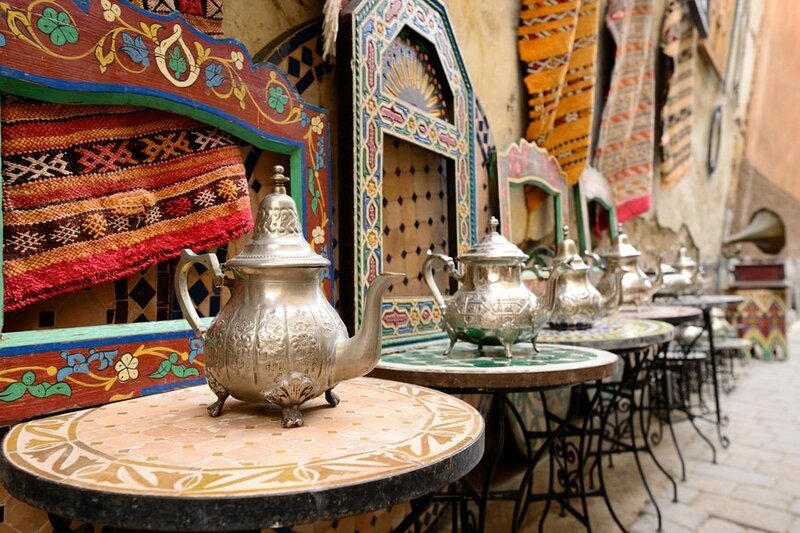 In the afternoon, explore the souks of Fes and learn about how local crafts are made. Some of the best buys in Fes are leather wear, pottery, wood carvings, carpets and handicrafts. On day 7, after having a filling breakfast, set out for the day to visit Ain Nokbi, the Potters’ Quarter of Fes. Northern Morocco, particularly Fes, is famous for its traditional arts and crafts. Here in the pottery village, you will be able to see first-hand the process to create pottery. 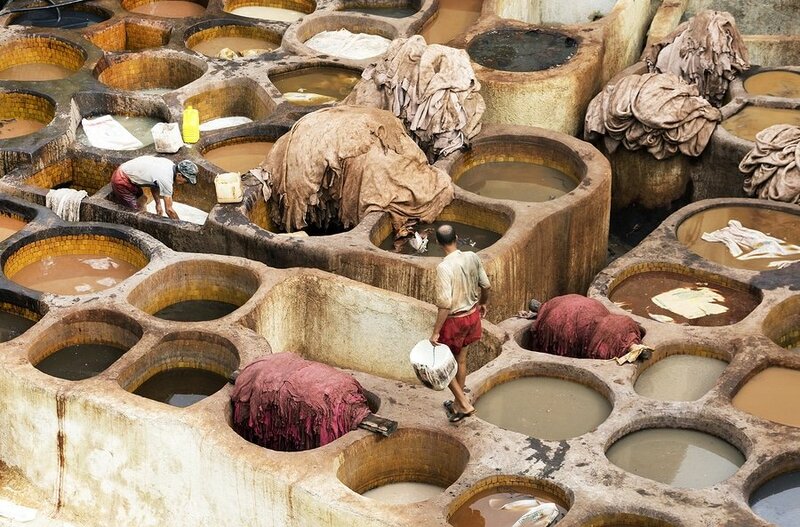 You may also visit the Chouara Tannery, the largest ancient leather tannery in Fes. Make sure to head up to the terrace overlooking the tannery pits. Have you been to Northern Morocco or anywhere else in Morocco? Do you have any tips or suggestions to share? If so, you can leave your comments below.